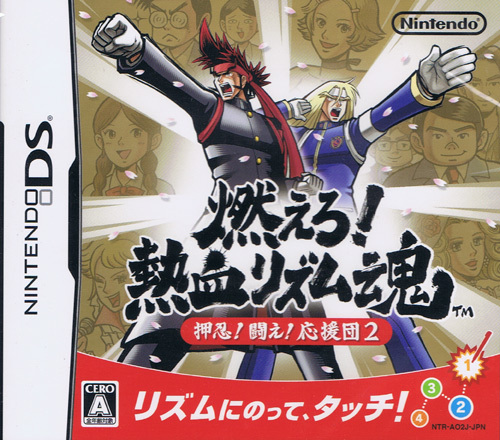 Absolute dream title for the DS gets a well deserved sequel. 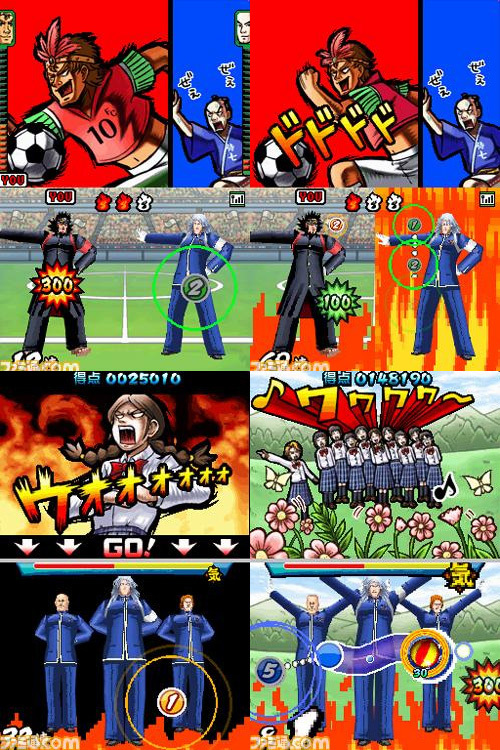 The story changes according to your cheer leading abilities as the rhythm action gameplay comes to the fore to help raise the spirits of the local football team, for example. Features some funky new songs and a rival cheer group that players can enjoy too. 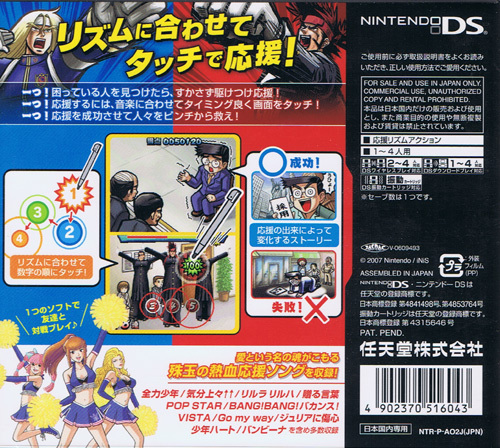 Subtitled Moero Nekketsu Rhythm Spirit.